Manhua artist Pocket Chocolate began production of a full-length animation film adaptation of his work Zuori Qing Kong (published outside China as Crystal Sky of Yesterday) in July 2015, after seeking feedback on a sample pilot adaptation. The film's target audience is viewers born in the 1980s and 1990s. 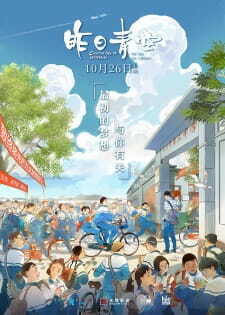 In order to prepare for production, the animation team spent time studying the Lanxi cityscape, including finding textbooks, school desks, and bicycles used in the film's time period.